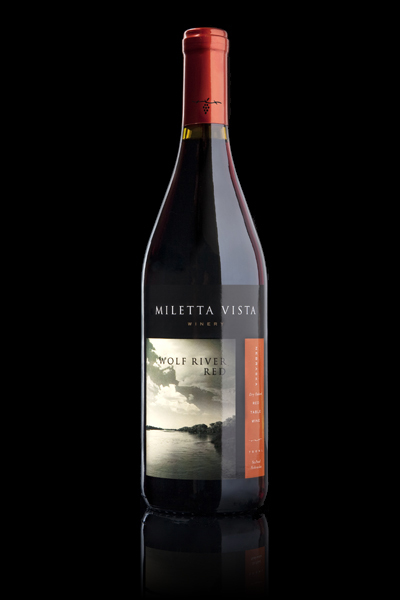 “The Wolf,” is a medium bodied dry red, aged in oak barrels for 18 months creating a nice smokiness. Made primarily from our DeChaunac grapes with just the right amount of Nebraska-grown Marquette gives this wine tannins and currant tones. Image: North Loup River, one mile south of winery.